“Thanks very much, a brilliant service, had everything we wanted. The day was amazing and the suits were perfect. “We hired 4 suits for our big day and was very impressed with the service provided. All the suits fitted perfectly and looked amazing on the day. What a fantastic place to hire from, Vijay and Kirsty were brilliant, incredibly professional and made the whole experience easy. I had an initial meeting where i looked at various options and they were patient between switching suits and waistcoats of varying styles to get it how i wanted. The second fitting where we all came along to be fitted out, they were once again brilliant and sorted the sizes etc out within minutes. I even hired the shoes to save hassle on the day for everyone. Excellent service from Vijay and Kirstie, the suits we hired were lovely quality. Nothing was too much trouble when trying suits and we were called to collect them a few days before the wedding which made life easier. I thought it was a good idea that you now have a fresh new shirt for each suit hire. I will definitely recommend you to others! I can not recommend the team enough. The suits were meticulously prepared, each in a named suit carrier. High quality and looked great on the night. From the fittings, the picking up and dropping back – everything was easy. We would definitely recommend this company we hired our suits from these and the service was very professional, with great communication. A pleasure to deal with, Kirsty and Vijay are a credit to the company. Hired 4 suits for my wedding in March from Farleys. Staff where very professional polite and helpful. All suits were perfect and fitted brilliantly, had many compliments on how me and my best man and fathers looked. Overall I was very pleased and certainly would recommend. Everything was perfect for us, all the suits were good and the service from yourselves was excellent. A very easy part of the wedding organising compared to the rest! Excellent service at great value for money. Vijay & Kirstie were very helpful especially with my 2 year old & they came up with a solution that worked for us all. Would definitely recommend them for wedding suits with a great range to suit all types of themes! Excellent service from start to finish. One or two people in our wedding party were less than comfortable with the thought of wearing tails, but they were immediately put at ease by the caring and knowledgeable staff. The suits & accessories were provided a couple of days before the wedding and all were a perfect fit. Thanks very much to all of the team. Great, stress-free experience with Farleys Wedding Suit Hire of Oadby, who walked us through every step of the process and sorted us all out with suitable suits ahead of our big day. I even purchased my suit through them, as I liked it so much! We were very impressed with the professionalism and attention to detail afforded to us by every member of the staff at Farleys Wedding Suit Hire of Oadby. We were made to feel that nothing was too much trouble in order that our suits would be perfect on our special day.The service provided by this company is so rare these days, we would like to say a big thank you to you all and would have no hesitation in recommending you in future. Many thanks once again to you all. Everything was perfect. The tuxedos looked so wonderful, collection & delivering them back process was easy. I couldn’t think of anything that could have gone any better. Will highly be recommending you to anyone who asks. We would like to thank Farleys Wedding Suit Hire of Oadby for all the help and assistance they gave us in choosing the right suit and the correct colours. They made us feel relaxed and nothing was too much trouble. The suits looked great on the day of the wedding and fantastic in the wedding photographs. The collection and return procedure was easy, all the suits were labelled up and every thing you needed was in its place. I have no problem in recommending The Wedding Hire Company. Thank you for the hire of your beautifull suits, all the men looked incredible. Clearly thats why you are the best, you really do know what you are doing! Many thanks, Adam & Rebecca Spilane. I must mention that I visited at least 6 wedding hire shops before finally settling on The Wedding Hire Company of Oadby. What really impressed me was the range of suits on offer and also of their excellent quality. Every member of the team was very attentitive and took the time to look after myself and the rest of the wedding party. Excellent service and happy to recommend 110%. After going to the Wedding Hire Company , after a recommendation from a friend , i could not have been happier with the service . All the suits were of the highest quality , we tried on a few different types of suit , before deciding on the right suit for us , and it felt great to wear on my wedding day and looked great . The suits were all labelled and in prestine condition , when we picked them up . Nothing was to much trouble for the guys working here , and i wouldnt hesitate to reccommend them. Thank you for the morning suit, the fit was fantastic and your service was excellent as usual. I have recomended you to friends and colleagues, see you next time. Thank you for supplying our suits for our wedding day, they all fitted perfectly and looked wonderfull!. Right from the initial visit, the guys at The Wedding Hire Co made us feel completely at ease! Went in with a rough idea of what we wanted and Vjay turned it into a reality! He offered us great advise and we couldn’t be happier with the finished look of the suits. We had 11 guys in total (2 of which were hyperactive kids) for suit fittings… Adam & Vjay handled this with ease, both very helpful & professional and we had a bit of a laugh aswell. Both guys were always on hand if we needed anything and Adam even went out of his way by taking a lengthy drive to one of his suppliers a day before the wedding to replace a lost hanky for us! Will defiantly be sending friends & family to The Wedding Hire Co for suit hiring in the future. Thank you very much for your advice and service for our wedding on Saturday 8th June 2013. Your suggestions of suit and waistcoat were all first class. We had the perfect wedding day at St. Marys Magdalen and the reception at Sutton Bonnington Hall. A lot of guests commented on how lovely the suits looked. Just a few lines of thanks for all your help with the guys suits for our wedding. Your advice was spot on and they all looked very handsome! I chose this suit hire company for my wedding day because of the testimonials written by previous clients on the website. I always think that people’s recommendations say a lot about what to expect from a company, and those people weren’t wrong! The staff are really friendly and helpful, and were patient with my youngest boy who was not happy to be trying suits on! The suits are fantastic quality, and all the guys looked very handsome on the day! Lots of guests commented on how nice they looked. I have already recommended The Wedding Hire Co to newly engaged friends, and wouldn’t hesitate to tell anyone else who asks. For great service and peace of mind that you have professional people with your best interests at heart, there’s no need to look anywhere else! Just wanted to say thank you for providing the suits for our wedding. They looked great on the day and fitted really well! We were very pleased with the result. Thank you for being so helpfull and giving great advice! The quality of the suits was also excellent, and they had a large range to choose from. I also bought a pair of Barker shoes and belt which I was very pleased with. The shop is also conveniently placed opposite the free Oadby shopping centre car park, which makes it easy to get too. I have already recommended them to friends based on our great experience. The wedding went brilliantly, no hiccups, and the suits were great! It felt so comfortable (compared to the suit I owned) that I actually went out at the weekend to get myself a new suit that felt as nice to wear. Thanks also for the patience in both selecting our suit, styles & colours initially, as well as the swift last-minute jacket replacement for one of the members of our party, who’s belly had grown slightly since his last measuring! We would like to say a huge thanks to your company. From the first day I walked into your shop in August until we returned the suits in January the whole experience was 1st class. I found it a breath of fresh air that customer care still matters to some companies. We were also impressed with the quality of all your stock. The Wedding Hire Co is head and shoulders above any of the other suit hire providers we visited. I hope your company stays focused on the quality of goods and customer service and prospers. We had a fantastic day, we were extremely happy with the suits we hired from you. All were excellent quality and fitted perfectly. The fitting service and collection was really good. We would highly recommend you for service, quality of suits and price. I was very happy with the service from your company and also the standard of the suits themselves. I have always rated Magee clothing and own a couple of Magee suits myself. I must also mention the help I received from Vijay who was unstinting in his advice and help. 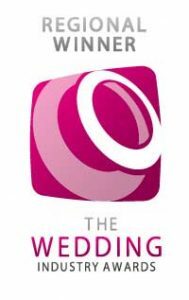 He is, I believe, a great asset to your company and I would not hesitate in recommending ‘The Wedding Hire Company’ to anyone wno may require your services. We were very happy with the suits and service you provided. The service, in particular, was first class and we must say a special thank you to both you and your colleague for arranging everything for us without any hassle. We will certainly recommend you to anyone needing suits in the future. We were delighted with the service we got from your shop. The suits were great quality but it was the help we received from Vijay that made it as we were clueless. His help and advice and friendly non-pushy manner made the whole process easy. Many thanks to all for helping our day look great! We have been very pleased with the customer service we have received from you and Vijay from making the appointment to ensuring we had the products. We had a lot of positive feedback from guests at how good the suits looked. I looked at a few shops before coming to yours and I have to say although you were the most expensive it was worth it. Your quality of customer service, suits, fitting and flexibity was very good. Overall excellent service and will dedfinitely be recommending you! We had a wonderful day thank you – everything went to plan…even the weather. The service provided by yourself and Vjay was excellent, great atmosphere in the shop, friendly, helpful and patient. The quality of your suits was also commented on by the men. No recommendations for improvement – just carry on doing what you are doing. Couple of pictures attached. Just to say we had a fantastic day and memories to treasure forever. I would highly recommend your friendly and knowledgeable service to anyone looking for suit hire. From the original booking through to the final fitting your staff where great making our experience easy and enjoyable. Your suits are of the highest quality and looked fantastic! The kilt hire was fantastic – you guys just took care of everything and it was one less thing for me to have to worry about as the big day grew closer. Anyway, a massive thank you to the Wedding Hire Company – as I said, you were fantastic, not just with getting us all measured up but also just having everything sorted when you said it would be. Just took a weight off my shoulders. Wanted to say the service we received from both yourself and VJ has been fantastic, you have shown flexibility when making appointments for fittings and provided fantastic quality suits at really affordable prices. You made our wedding planning so much easier with such and organised a professional approach to managing our booking and we cannot thank you enough for helping to make our wedding day so perfect. I thought I would attach a picture of us all in our suits, as you can see they were all a perfect fit! We had a fantastic day, thank you. I was very happy with the suits, and everyone looked fantastic. The service that you provided was excellent and I would have no reservation in recommending you to friends and family in the future. We wanted to let you know that the wedding day went perfect!!!! Cheers, I have highly recommended you to a all of my friends which are getting married in the not so distant future. Your shop is by far the Best we found, With everything from the Suits, Shoes to the service you and your team provided all of a High Quality!! Everyone said the suits were gorgeous and to be honest i don’t know how you could improve your service because it was top notch!!!! Once again thank you, and if myself or anyone i know needs to hire a suit I know the place to come to!!! Thank you for helping us to scrub up well for our special day! The service you gave us was excellent from start to finish and the quality of the suits could not be faulted. We will certainly recomend you to our friends. Just wanted to say thank you for doing such a fantastic job with supplying the wedding suits, the guys all looked fabulous! Just wanted to say thank you for all of your help with the suit hire for our wedding, all of the men looked great, the suits were excellent and we had a great day. Absolutely brilliant……We hired all our mens wedding suits from this shop for our big day and I really cannot recommend the Wedding Hire Company of Oadby enough, we looked brilliant even if I do say so myself. Thank you to Adam for a faultless service in providing suits for our big day. After having been let down by another company we came to see Adam merely days before the wedding and he was able to provide us with fantastic suits at very short notice and made the whole debacle a lot less stressful! We would not hesitate to recommend you to everyone we know! Thanks for a great friendly service, I will definately recomend you! Just a note to say thank you for all your help and assistance when we chose the suits for our special day. The dads, ushers, best man and myself all looked brilliant on the day in the suits. We would like to thank you for all your help and support, everyone commented on how fantastic the suits looked. Just a quick note to say thank you very much for organising the suits for our wedding in March. The boys all looked wonderful in their matching suits and shiny shoes! The service we received from you was marvelous and we will certainly be recommending you to our friends and family. Just a quick note to say thank you for the great suits that you hired us for our wedding day. All the men felt and looked great, a real success. There was only ever going to be one choice for my wedding suits! We got married last August and there were 8 of us in total all in tails and everything looked fantastic and fitted perfectly. Adam took the time to make sure we all had the best fitting suits on the day and it showed as we were all comfortable on the day. Excellent suits, Excellent service. Just wanted to say a big thank you for all your help with the mens wedding suits for our wedding. Your service was superb and we were so pleased with the final results! We had the most magical day and couldnt ask for anymore. Thank you so much for providing us with such lovely suits for our day. It contributed towards our wedding being the special day that it was. We had a lovely day and a wonderful honeymoon. Just a short and extremely belated note to say thanks for all your help with the suits for our wedding on 1st June 2007. We were extremely pleased with the service provided and the quality of your suits far exceeded anything else we had seen. Strangely, James was also highly impressed with the shoes, very comfy apparently! We had the most wonderful day, where everything went entirely according to plan, if not better which was a huge relief! We wont hesitate to recommend you to family and friends and wish you every success in the future. We had a truly wonderful wedding – one of the best days or our lives! Everything went to plan and even the sun shined on us. Thank you very much for fitting out all the wedding party men – who looked handsome and so smart. Just wanted to say a big thank you for the excellent service you provided when hiring our suits for my wedding. The suits looked fabulous. Best wishes too for your forthcoming wedding. Just a note to say a very big “Thank You” for all your help with our wedding. The men and lads looked so smart at the wedding – so many people commented on them. Thanks for such a professional and personal touch. Thank you for all your help with sorting out the mens wedding suits for our wedding on 14th May 2005 at Barnsdale Hall & Country Club. Just a quick note to say thanks again for the great service on the day and helping everything to run so smoothly. Top service!